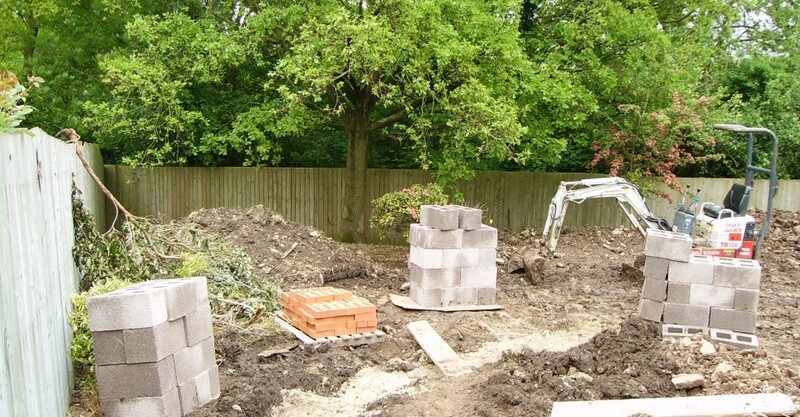 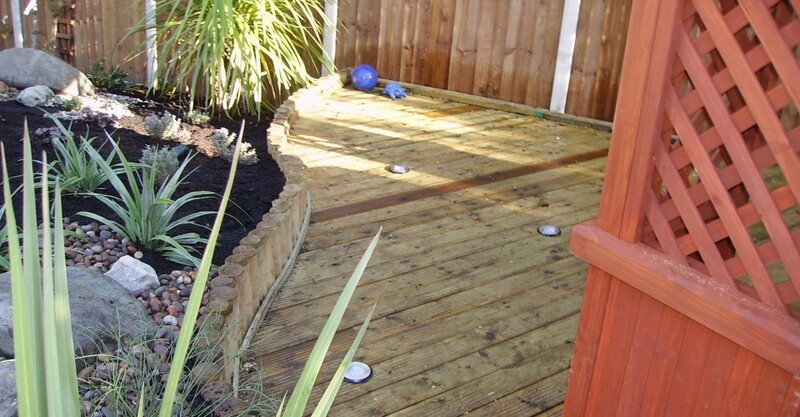 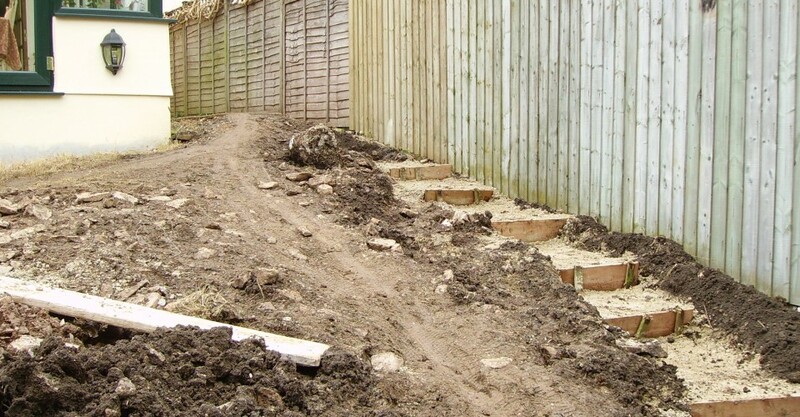 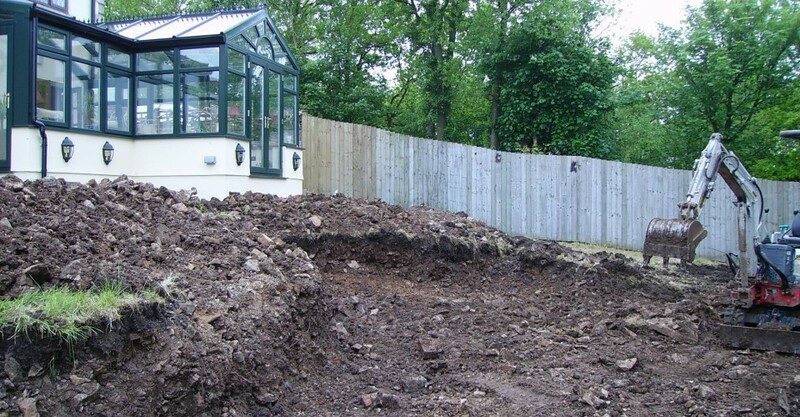 This complete garden makeover used many different materials and styles to great effect. 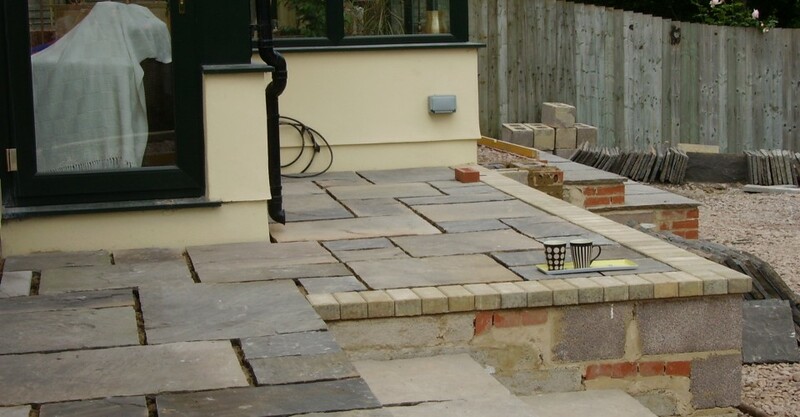 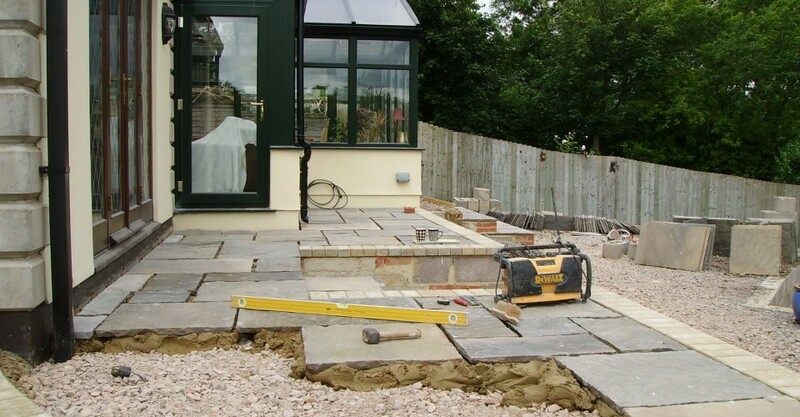 A top paved area leading down to a larger shaped patio area.These were both built by building a series of rendered retaining walls, topped with a decorative brick edging and building a patio base to the required levels to pave over. 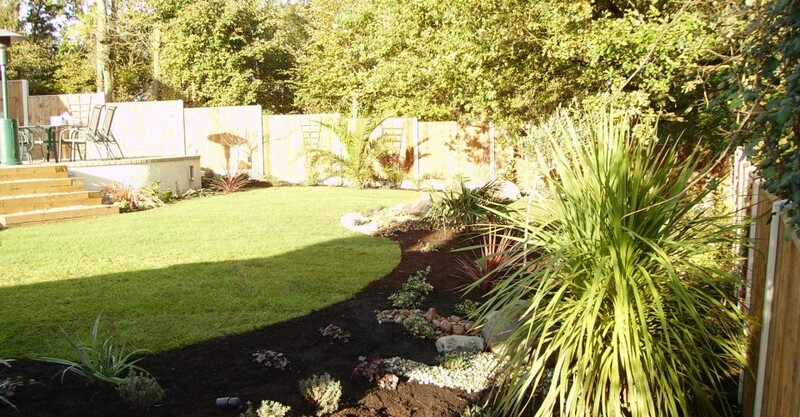 From these paved areas it led down to a newly constructed lawn surrounded by Mediterranean style planting. 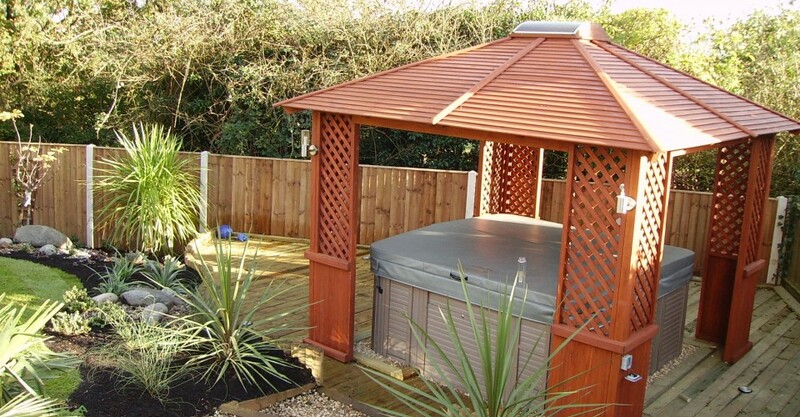 In the corner of the garden a decking area was built with lighting surrounded by log edgings, and a hot tub installed. 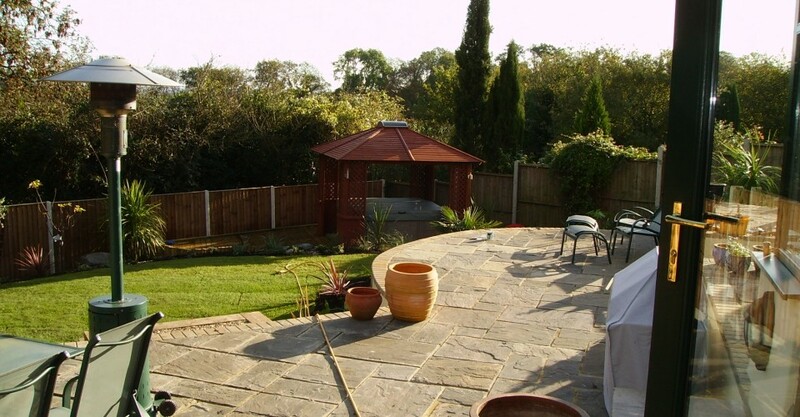 This was encompassed by a fantastic pergola construction which gave excellent privacy. 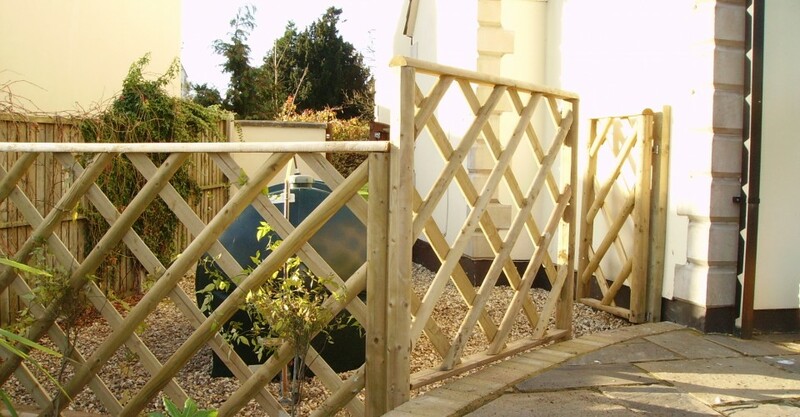 New fencing was installed around the garden to give it the finishing touch.